The Eau Claire Express is proud to have the Kristo Orthodontics Youth Baseball Team of the Night at Carson Park. If you coach a little league team and would like to bring your team out to the park, we encourage you to take part in this exciting package. Each member of the team will receive the following as part of this package, compliments of the Express and Kristo Orthodontics! Outings are filling up quickly for the 2018 season. The Eau Claire Express is proud to be able to provide this experience to see a Northwoods League game for youth baseball players across the Chippewa Valley! 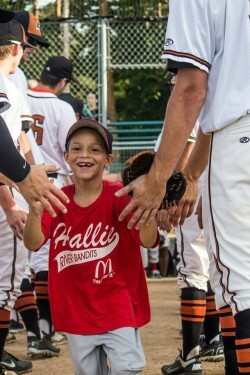 To book your little league team please contact General Manager Jacob Servais! Please refer to the websites below for information on each league and their registration information.